Taking steps to seek funding. 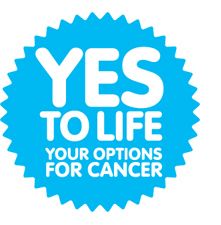 I need funds to get leaflets printed so I can attend events to spread the word about Alternative Cancer Treatments. If anyone can offer any advice or guidance I would be very grateful. I work full time in a normal job and do this in my spare time evenings and weekends. I am so passionate about raising the awareness of Alternative Cancer Treatments, I want people to know that they have a choice about cancer treatment. Your help with funding would be appreciated. I need to get out and speak to people about Alternative Cancer Treatments, spread the word about what is available to them and I can’t do that sitting in front of a computer! So if anyone out there is reading this and can offer me any assistance with funding that would be brilliant. Thank you. This entry was posted in Cancer Treatments, Funding and tagged alternative cancer treatments, funding. Bookmark the permalink.